It is gone like a thousand yesterdays. Really it is. That tactile connection to the past. In today’s world if you ask someone where their steak comes from they are likely to say the store…now they might be joking or then again they might not. In a world where we don’t even “see” the endless/seamless running of trains that deliver our produce, cattle, cars and everything else to trucks that then take them to stores of all different flavors; who could blame someone for being so disconnected to how their food gets to their table each day? 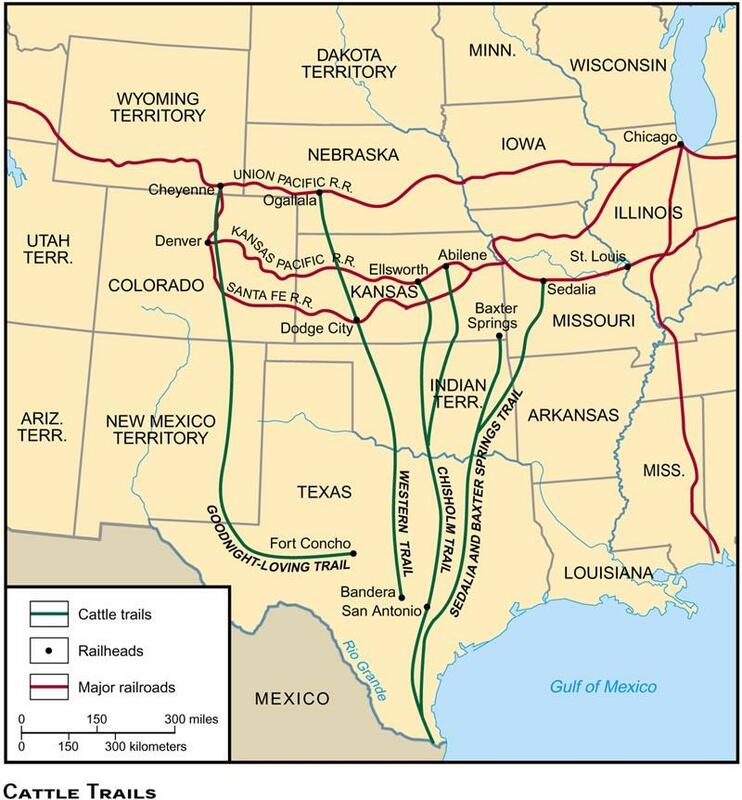 About 130 years ago it was a monumental feat to get steak to New York City from the back country of Texas. There was a railroad but it didn’t go everywhere. There were some roads but not that many. There were still hostile Native Americans, uncertain paths, outlaws, rustlers and of course lots of rattlesnakes. Cowboys were in high demand and so were Bootmakers. It wasn’t enough to fatten your cattle up. You needed to fatten them up and then drive them a thousand miles to get on a train as well. Cowboys had to do it. The “cattle drive” a moment captured in many western movies and songs over the years sounds romantic, but you know it was hard work. You needed a good pair of boots to get you through. Custom Bootmakers sprung up all along these trails. One of these trails started in my hometown San Angel0 or Fort Concho or Santa Angela as the Spanish called it. The Goodnight-Loving trail was a well worn path for many a “steak” and many a cowboy. 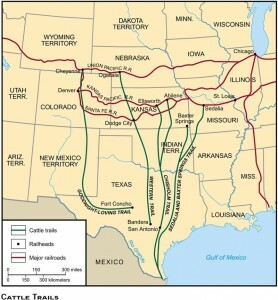 San Angelo was a hub of activity for the cattle business and all that supported it. It still is today. The famed M.L. Leddy Bootmakers started in San Angelo and still make their custom boots out of there. One of our cousins J.L. Mercer had a shop there and still does today. Working cowboys knew the value of a well constructed boot. They might have liked a little fancy stitching up top for variety but what they were looking for the most was quality workmanship, durable materials, and a perfect fit*. Bootmakers of the cattle drive days made their reputations on these three aspects of bootmaking. Many of the custom bootmakers that are still left cluster around the remnants of these old cattle trails. Boot companies today owe a little bit of their success to the methods and processes developed all those years ago along the old cattle trails serving a need for solid boots by the working cowboy. Those cowboy boots we wear may not be made off of a cattle trail town in Texas, but they are a product of that era when we figured out what mattered in a western boot and codified it. Today we have all manner of choices in leather, stitching, inlays, embroidering, and other additions to style. Yet all of that would not matter without the basic western boot foundation coming out of the cattle drive and all that it yielded. *While most manufactured boots today give a decent fit; a custom boot is made just for your feet. A Bootmaker will tell you that each foot is a little different and when you are fitted for a custom boot that is how they are treated…. individually. If you wear boots everyday fit makes a real difference.